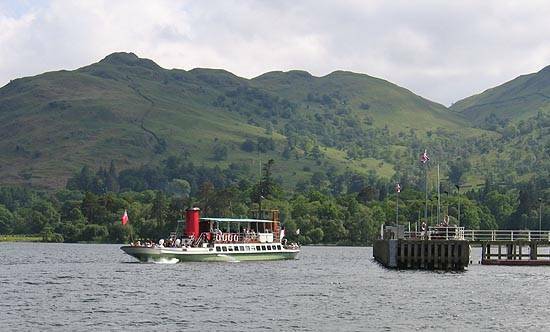 Ullswater "steamers" are superbly maintained heritage boats, now propelled by more modern engines, but still sailing on this most beautiful lake after almost a hundred and fifty years of service. To this day they remain the perfect way to enjoy the area. There are several ways of enjoying this unique attraction. 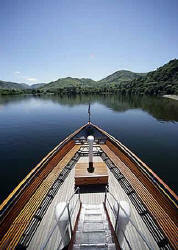 First of all, you can simply relax and cruise along, enjoying the stunning scenery from these wonderful boats. 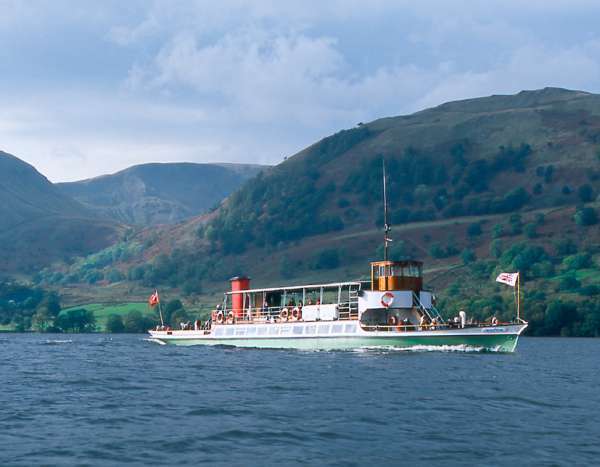 Alternatively, you can combine a trip on the boats with a walk, on miles of bridleways linked by the boat routes: this ability to "mix and match" makes Ullswater the perfect destination for walking along the lakeside trails. For centuries this dramatic landscape has inspired writers and artists. From the gentle rolling hills of the northern reach to the grandeur of the southern reach where the foothills of Helvellyn rise from the lake shore, there has always been plenty to inspire poets, writers and artists alike. Ullswater steamers now offer you the chance to share this inspiring landscape as you glide along in one of these beautiful old boats. 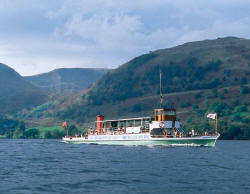 Ullswater steamers can also provide a great way of celebrating a special occasion - the company offer catering and entertainment for guests - and of course the photographic backdrop is second to none on what may well be England's most beautiful lake. Even better, a percentage of sales is donated to the tourism and conservation partnership working towards a sustainable future for the national park. Whatever the weather, you'll go away with plenty of memories to treasure. If you have access to SatNav, simply enter the postcode of CA11 0US for Glenridding or CA10 2NN for Pooley Bridge.